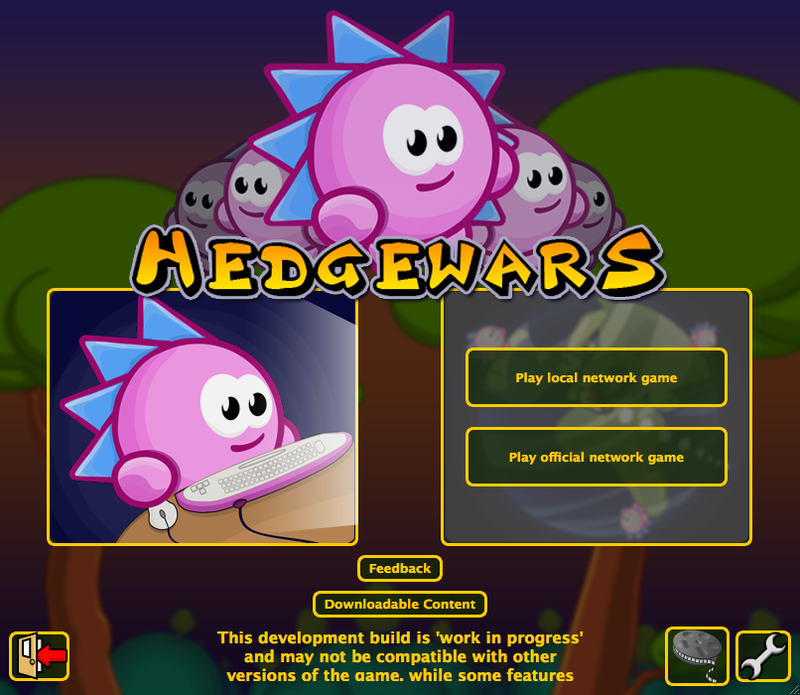 Hedgewars recently participated in the seven-week 2012 Google Code-In, a Google-sponsored programming competition for pre-university to contribute to open source projects and earn points. 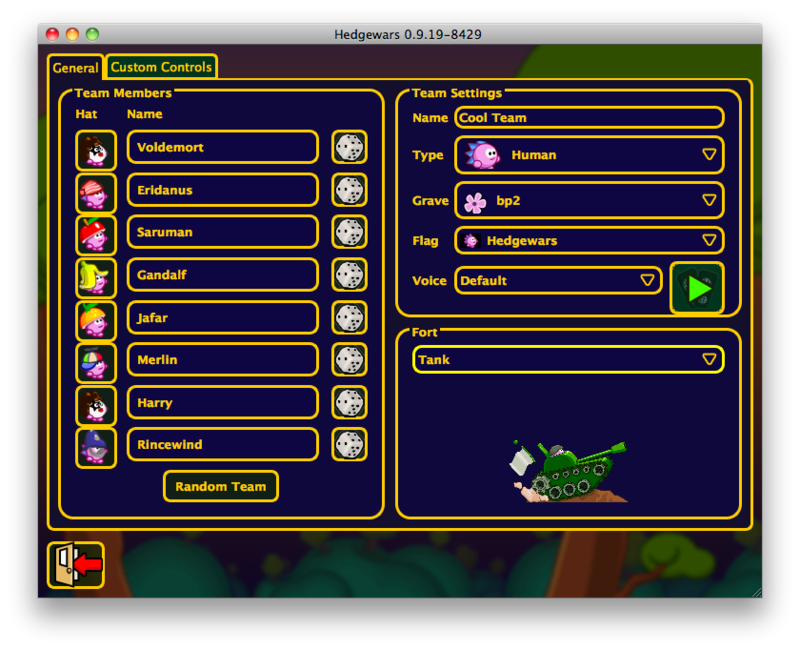 Twenty five different students, including myself, contributed code to Hedgewars, resulting in many bug fixes and additional user interface improvements. 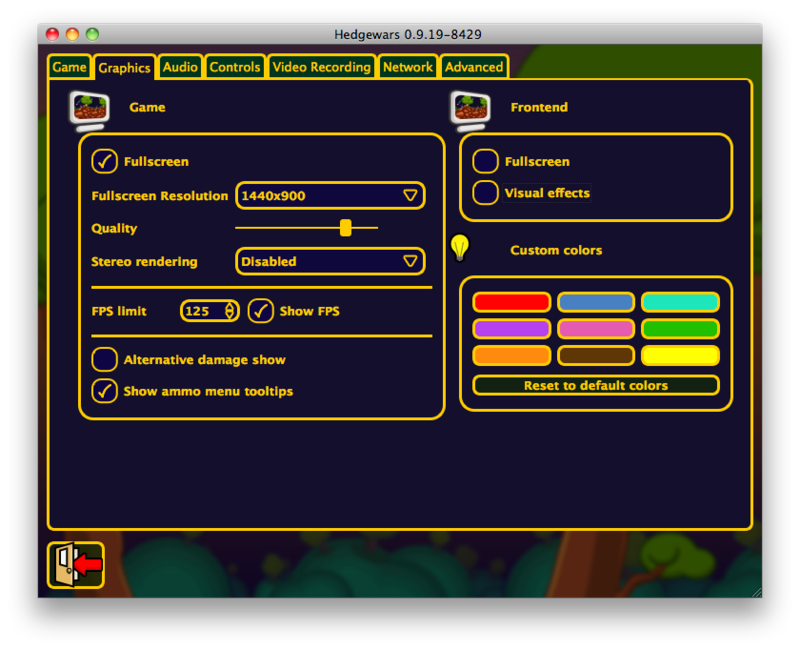 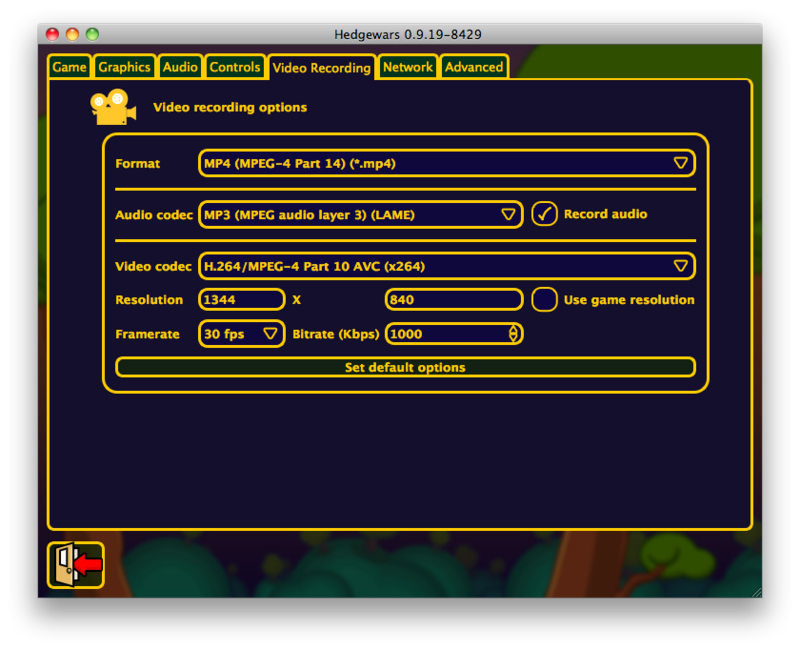 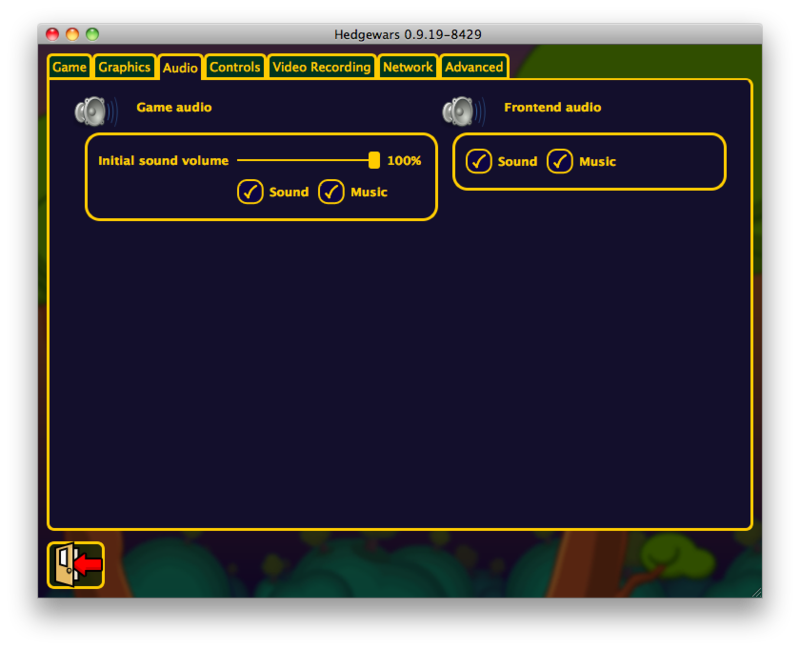 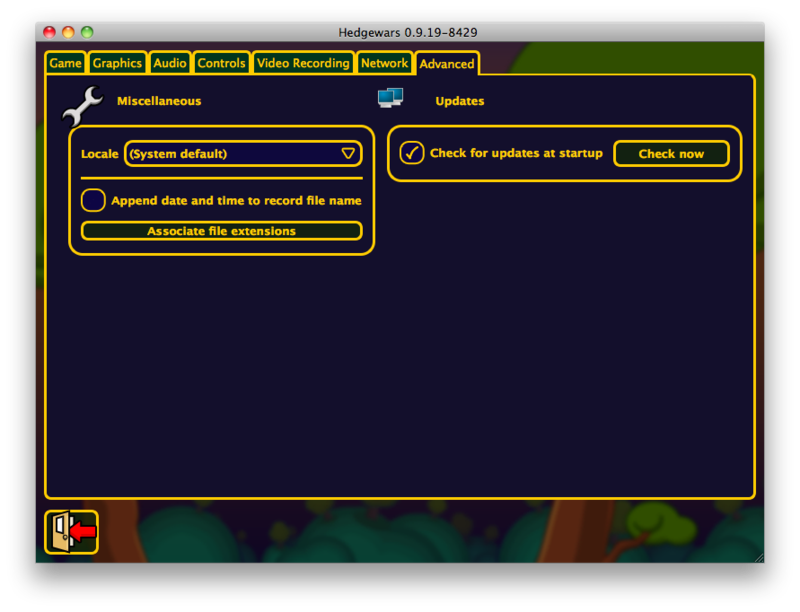 Let's take a closer look at user interface improvements coming to the next version of Hedgewars. 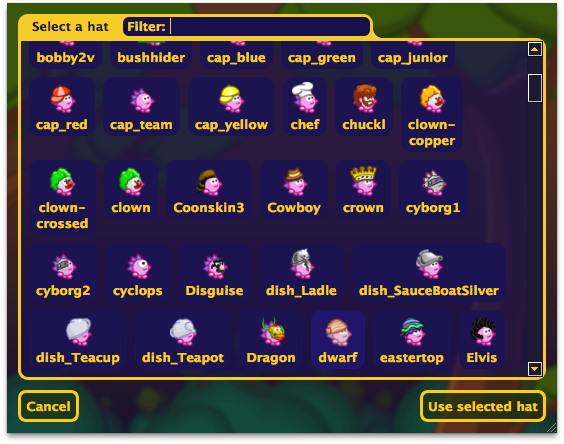 Click on images to view them in their original size. 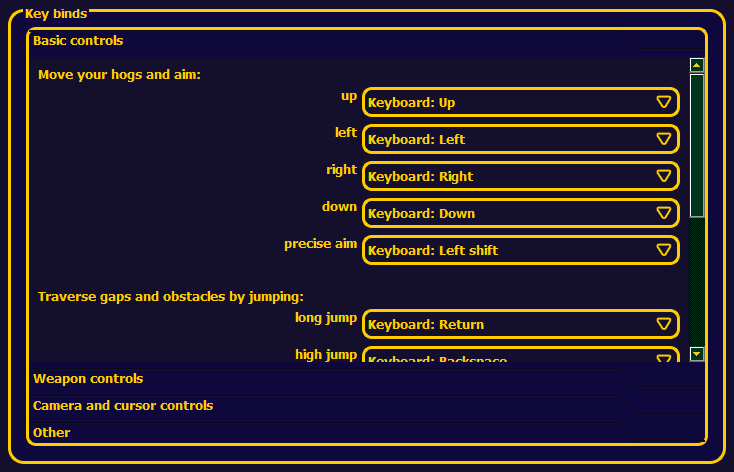 Most of the visible improvements were created by me except where stated otherwise. 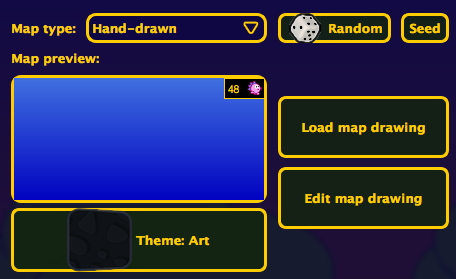 The option for choosing what type of network game you want to play will be inline, appearing over the "network game" button when you click on it. 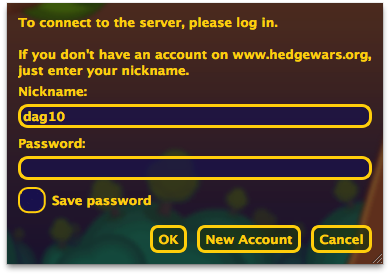 When choosing to play a network game when you're not logged in, an improved log-in prompt will show. 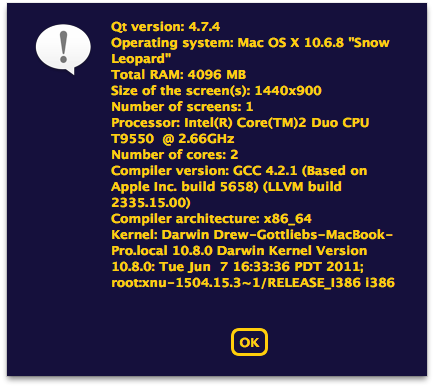 Credit to Ondrej. 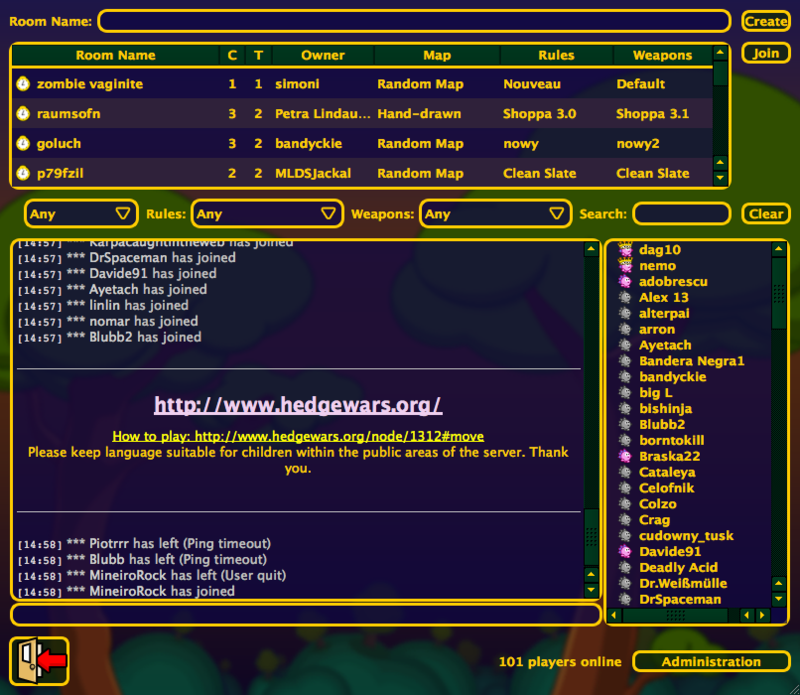 This brings us to the improved game lobby. 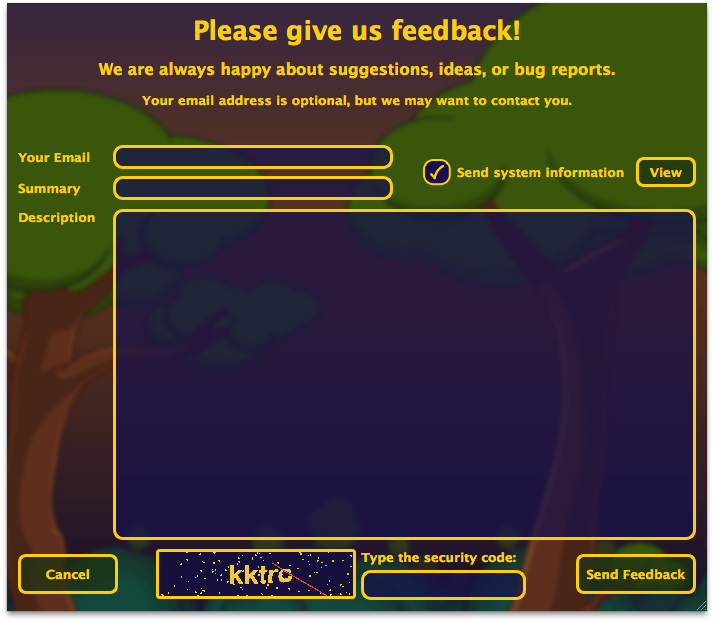 The search box will be placed at the top and given focus as soon as you enter the lobby. 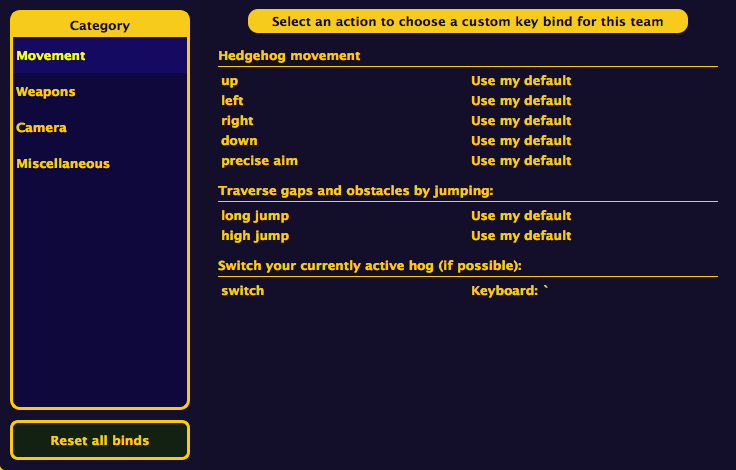 As you type, you can use the arrow keys to move the room selection up and down. 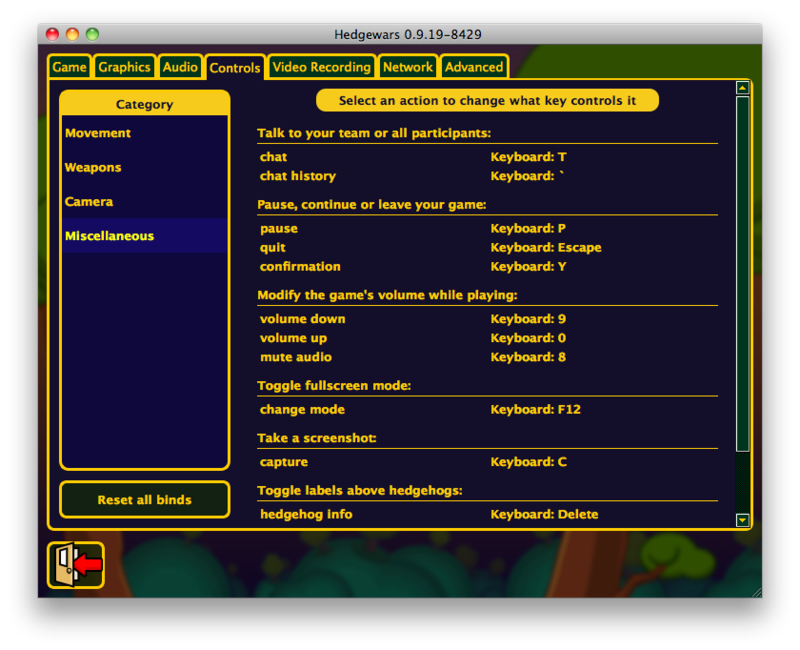 Pressing enter will join the selected room. 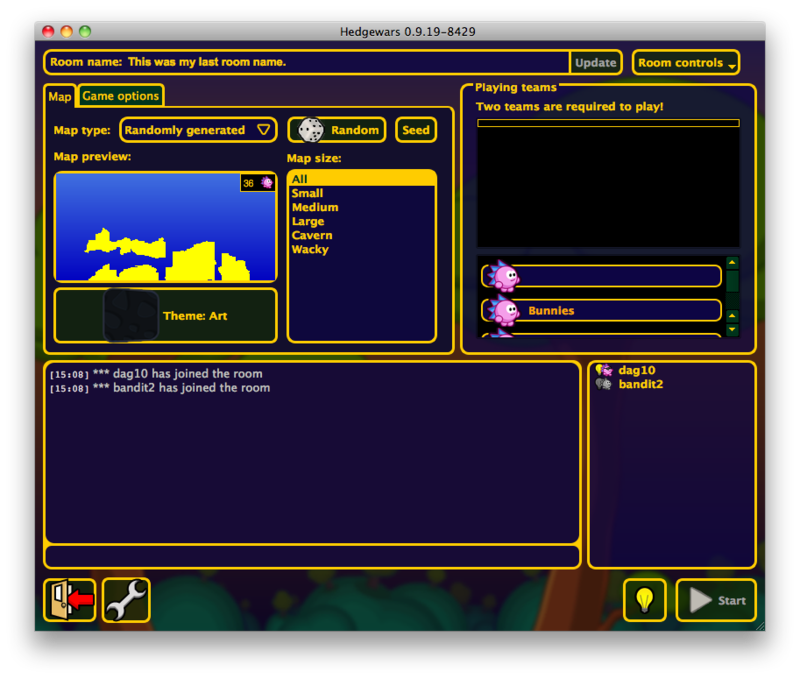 Clicking the create room button will display a dialog prompting you for the name of your room. 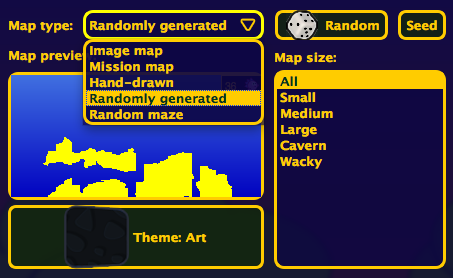 To make the process faster, it will default to the last room name you chose, so you can reuse the same name with ease. 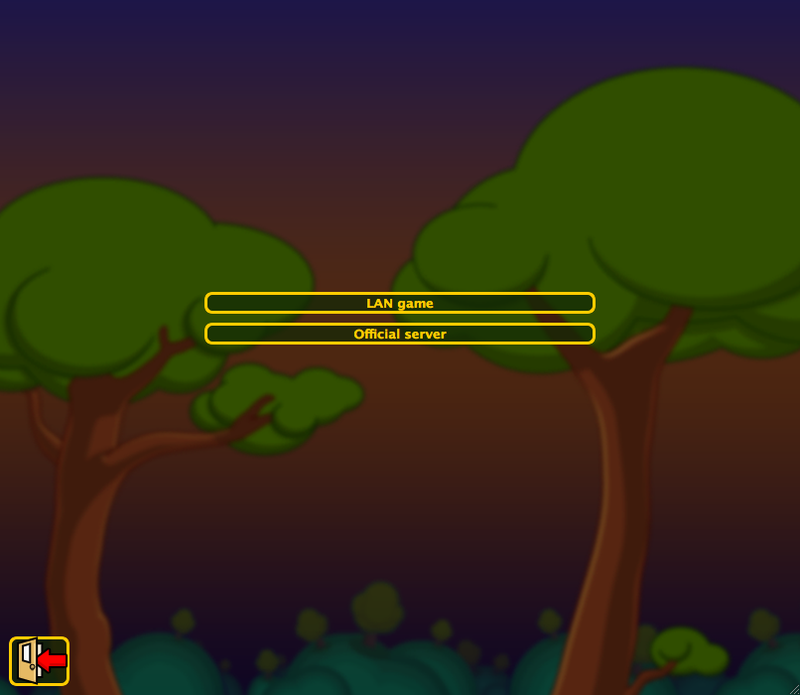 Some of the biggest improvements lie within the game lobby. 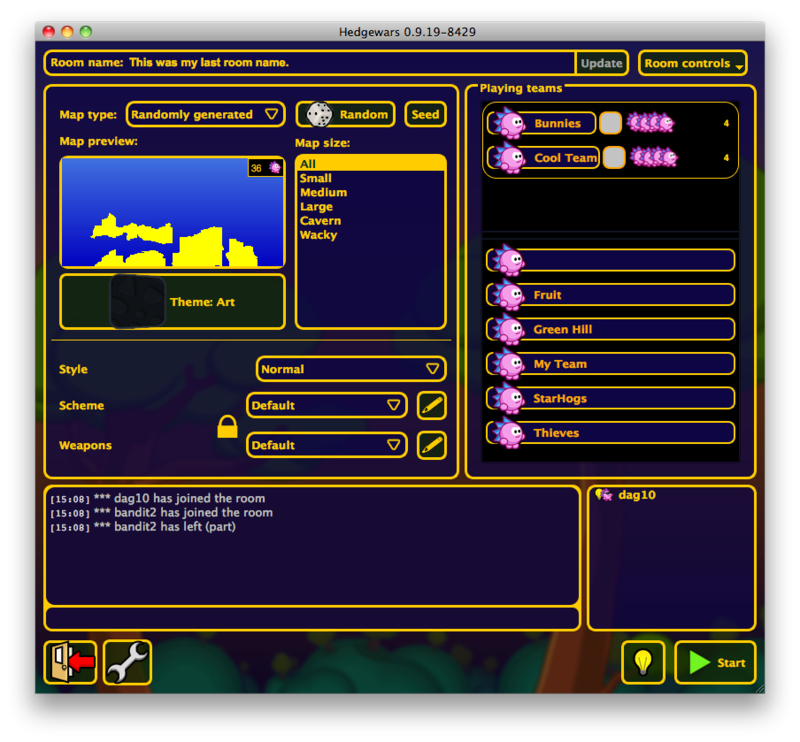 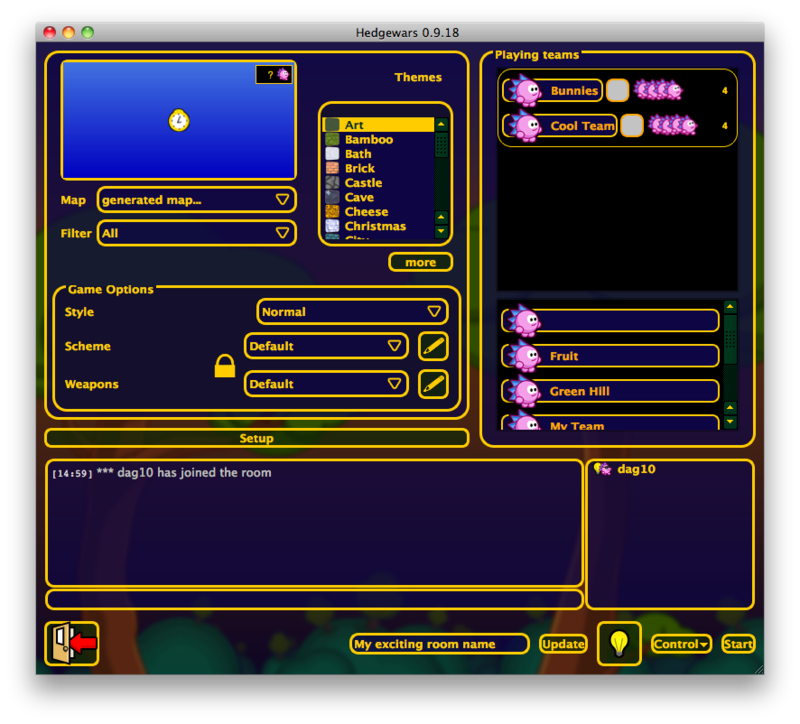 Room controls, such as the room name, will be moved to the top of the page. 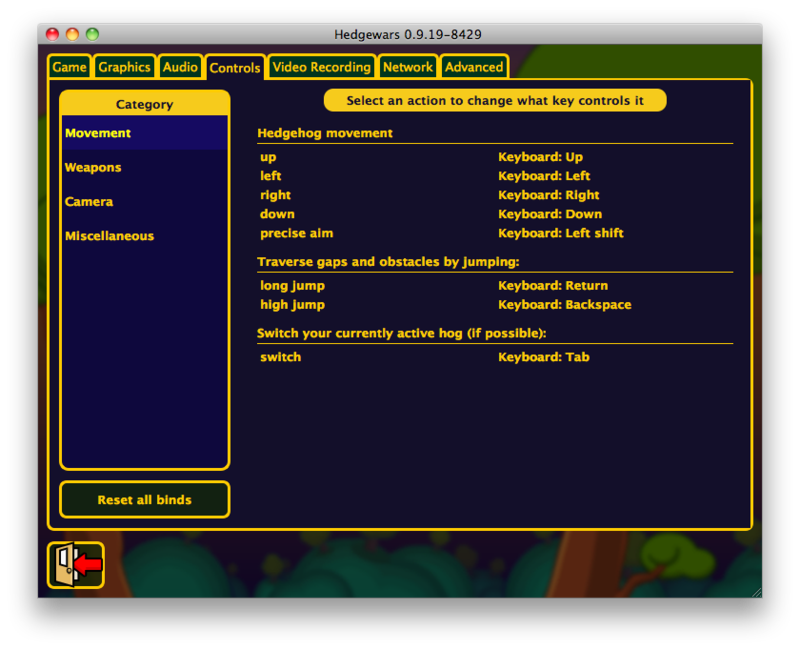 The settings button is moved to the bottom-left, and the start button is larger for easier clicking. 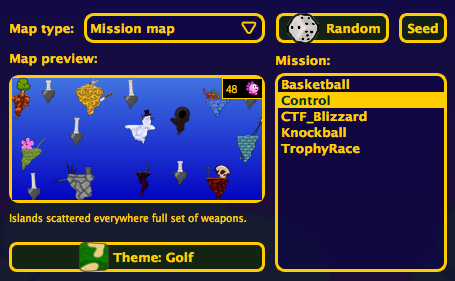 Many people aren't noticing the variety of map types at their disposal, so fixing this is a primary focus in the new map interface: Mission maps will now have descriptions, too. 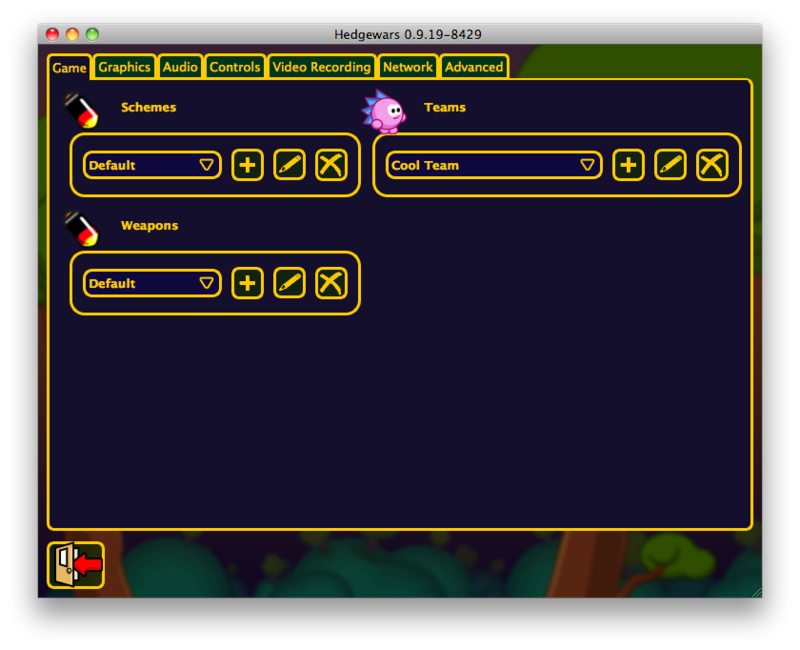 I've covered the significant user interface changes coming to the next release of Hedgewars. 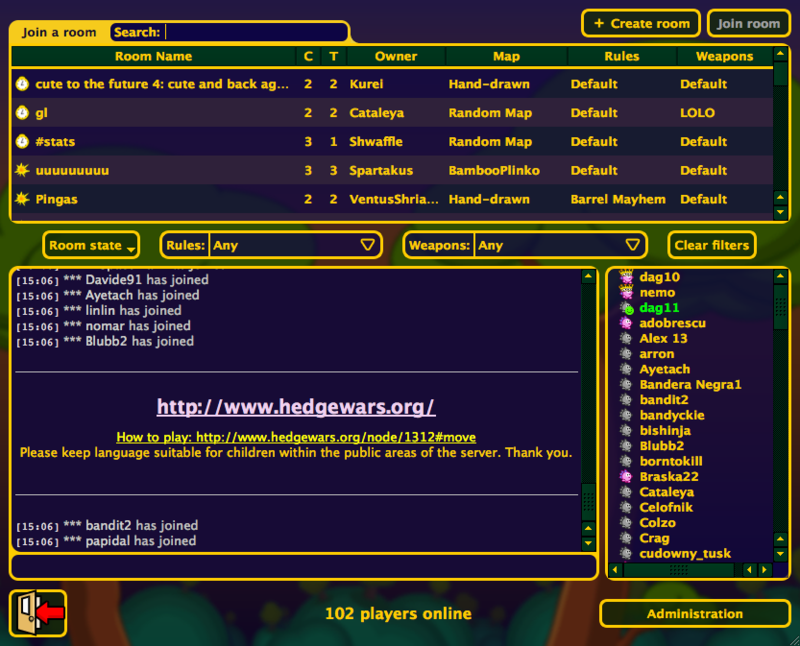 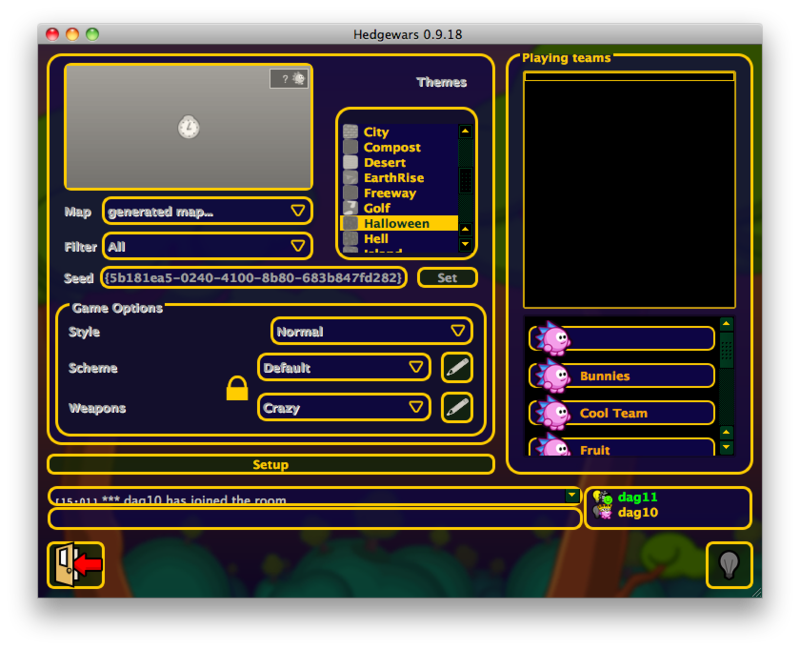 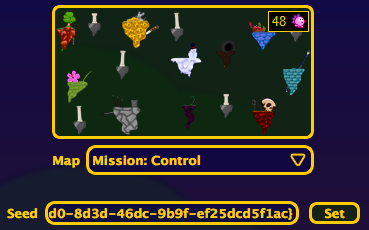 Hedgewars will hopefully be faster to use, and easier to for newcomers to navigate. 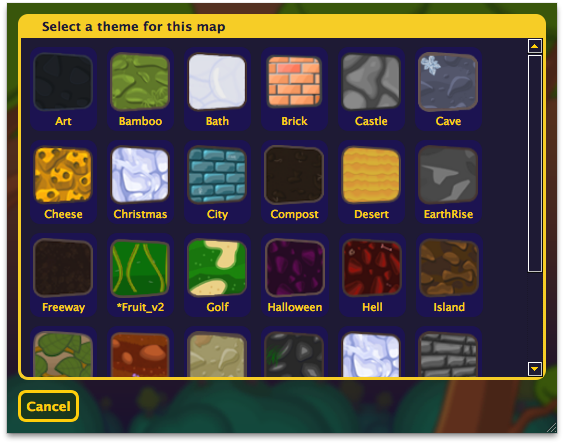 Buttons are also larger throughout the interface for easier clicking. 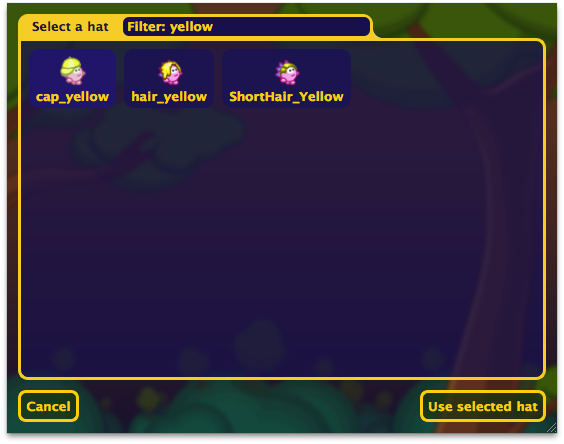 We are not yet sure when 0.9.19 will be released, but you can see these changes today by downloading and compiling the source code.